Harborth's conjecture states that the edges of any planar graph can all have integer length. 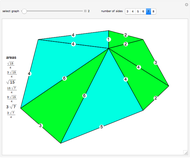 Planar graphs with non-triangular faces can have edges added to get a maximal planar (or triangulated) graph, where all faces are triangles. A solution for a given maximal planar graph would contain many integer wheel graphs. 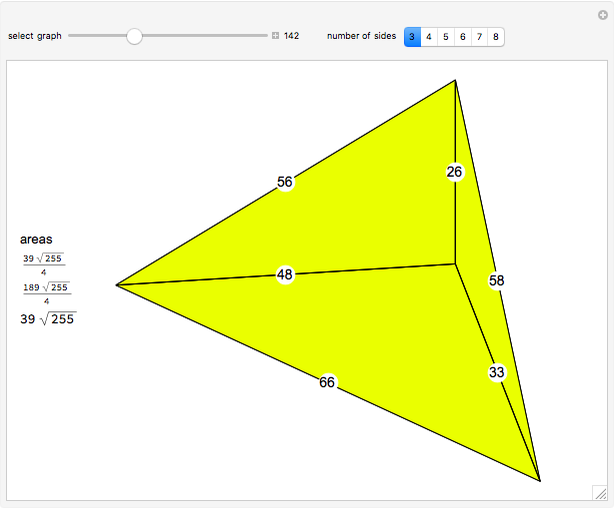 This Demonstration shows many integer wheel graphs found with searchs. 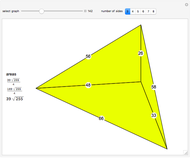 Triangles are colored by their area radicals. Examining the hexagon possibilities took weeks, despite excluding many types of symmetries. 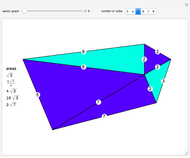 A fast method to collect allowable heptagons, octagons, and general -gons with a given maximal edge length is currently unknown to the author. Wikipedia. "Harborth's Conjecture." (Mar 1, 2015) en.wikipedia.org/wiki/Harborth's_conjecture. Wikipedia. "Planar Graph." (Mar 1, 2015) en.wikipedia.org/wiki/Planar_graph# Maximal_planar _graphs. Wikipedia. "Robbins Pentagon." (Mar 1, 2015) en.wikipedia.org/wiki/Robbins_pentagon. Wikipedia. "Wheel Graph." (Mar 1, 2015) en.wikipedia.org/wiki/Wheel_graph. Ed Pegg Jr "Wheel Graphs with Integer Edges"